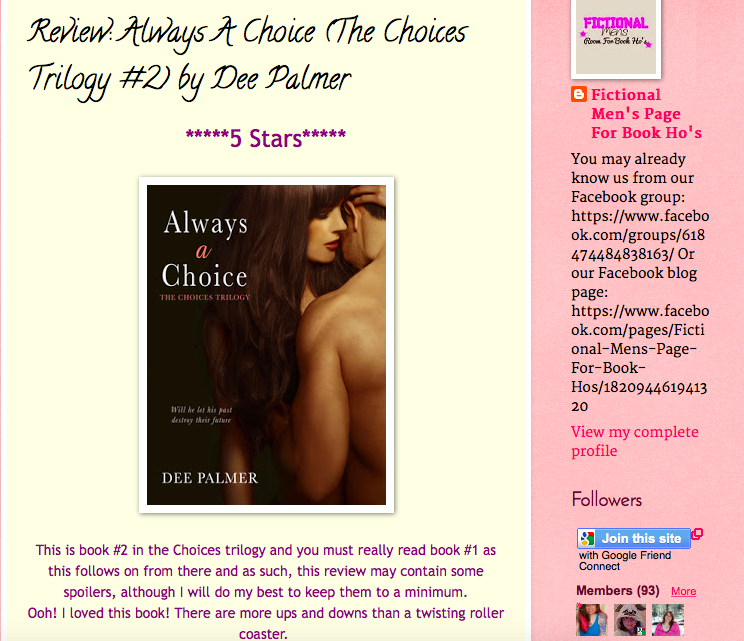 The lovely ladies at Fictional Mens Room for Book Ho’s Book Blog have kindly read and reviewed all three books in The Choices Trilogy and I’m beyond happy…jumps up and down like a crazy person. I wonder if it gets easier but I get a real sick churning in my tummy when I know someones reading my books. I get messages all the time before, during and after and don’t get me wrong I bloody love to hear how people are getting on. But still, someone, somewhere has my book in front of them and that kind of blows me away. Here’s the link for the blogsite if you want to check out all of Vivienne’s (wonderful) Reviews.